Click here for a video introduction. Click here to visit the picture gallery. 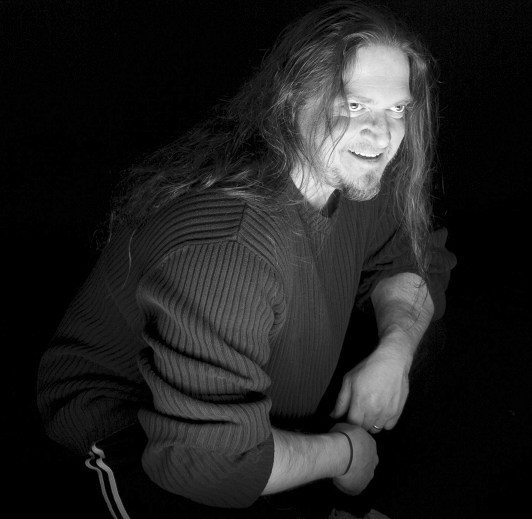 Dennis DiRienzo. Commenced private study with Richie Sadlo. School of Music under John Van Gasteren. that for me to truly specialize in drumming and drumming education, my time was best spent continuing my studies with Mr. Miller. with him educating me on the art of teaching. Chad Wackerman, Dave Weckl, Zorro...and countless others. *A+ Ratings on Level 6 NYSSMA pieces during conventional school tenure. *Earned the Boy Scouts of America Rank of Eagle Scout at the age of 12 (average age is 18). Went on to earn a gold palm. *Winner F. Arden Burt award for musical accomplishment 1984. *Taught independently in private home sessions with my students : 1989-1997. 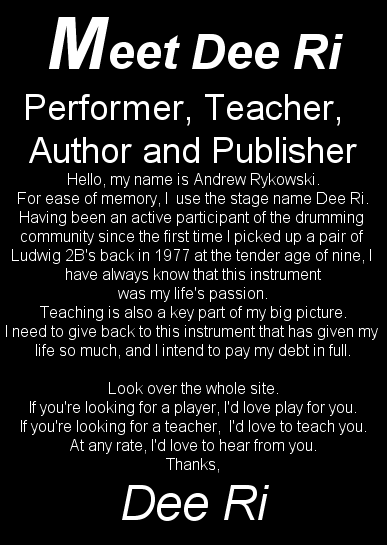 *Taught through the Long Island Drum School- Plainview, N.Y. : 1997-2004. *Currently teaching at the Dee Ri Institute of Drums and Percussion, Inc.
*To continue to perform and expand my musical palette. *To continue to share my knowledge with enthusiastic students.